Gazing over the Venice lagoon, on a crystal-clear spring day, you might be stirred to thinking that in Murano glass has found one of its most perfect expressions, drawing its first source of inspiration from the splendid transparencies and delicate reflections of the sea. However, remaining faithful to the historical testimonies and to the first official documents referring to the working of this material in the Serenissima (harking back to 982 and 1087), we instead discover that glassworking before the year 1000 was solely devoted to the production of every day objects and more precisely of fiole or bottles of blown glass with a fat body and a very long neck. In order to speak about a real and genuine art of glass, we shall need to wait until 1271, when the Magistrates’ Council of the Giustizia Vecchia (Old Justice), the body that was at the time responsible for the matter, issued the so-called Mariegola (or Mother Rule) to regulate glassworking, that is to say the statute by means of which the rights and duties related to the management of the arts and crafts in the city were set out. In this first period, the glass production consisted mainly of glass tableware, glass decorated with tiny decorative elements of molten glass (morise or bit-work) and fiole (long necked bottles with a wide body) even if the creativity and artistic imagination could already be discerned in small innovations such as chromatic decorations and glass decorated with enamel paintings. In 1291, owing to the repeated outbreaks of devastating fires kindled by the glassworking furnaces in the city of Venice, the Great Council of Venice ordered all of the furnaces used for glassworking be moved to the island of Murano, which thus became the privileged location for glassworking. Towards the middle of the 15th Century, the art of glassmaking underwent a quantum shift thanks to Angelo Barovier, a fascinating artist and scientist who succeeded in obtaining, through a real and genuine alchemic process, a new type of extremely clean glass that was so similar in transparency to rock crystal that he himself called it crystal glass (then Venetian glass). This new discovery did not take the place of the coloured glasses that in the meantime had become a special feature of Murano’s production, but it undoubtedly contributed to refining its transparency in an incredible way. All of this took place at the turn of the XVIth Century, called the ‘Golden Age’, during which glassworking reached its most sublime results: it is precisely in this period that decorations in gold and enamels developed in all of their beauty, which drew their inspiration from the works of Antonio Vivarini, Andrea Mantegna and Carpaccio. Moreover, it was precisely during the Sixteen Century that new techniques were discovered and developed such as that of the extremely famous filigrana a retortoli (filigree patterns in twirls and spirals) and that of the filigrana a reticello (filigree patterns in small nets) that perhaps more than all the others contributed to the spread and passion for Murano glassware in the courts and aristocratic environments throughout Europe. But the splendour of Murano’s blown glass was however fated to decline: in addition to the flight of numerous glass masters abroad (and we are speaking properly about ‘flight’ in as much a glassmakers were forbidden from leaving the Republic following a decree of the Serenissima in order to defend the exclusiveness of the manufactured articles), the plague also ravaged Venice in 1630 which decimated the entire population of the lagoon. Throughout the whole of the Eighteenth century, the production of glass in Murano burst into a riot of shapes and colours in the goblets and in the beakers, in the fruit and footed bowls and in the glass frames of mirrors, but in order to speak about a real renaissance we need to wait until 1861, when the Abbot Vincenzo Zanetti gave life to the Murano Glass Museum: it would be thanks to the observation and the reproduction of the ancient pieces preserved in its display cases that some master glass workers among which Toso, Fuga and Barovier found once again inspiration and important suggestions that gave a fresh impetus to the sector though the reproductions of the most beautiful blown glass works of the previous centuries and the execution of workings such of those of the Roman ‘murrine’, of fired enamels and etched gold leaf decorations. The 20th century marked another big turning point in the history of glassworking in Murano. During this period, the production started to take advantage of the creativity of great contemporary Italian and European artists, painters and designers, giving rise to absolute outstanding pieces of excellence. In 1950, thanks to the intuition of Egidio Costantini, the "Forge of the Angels" (so dubbed by Jean Cocteau) was born, that spurred the glassmaking sector into making a leap in quality, which rose from being a craft production to real works of art. 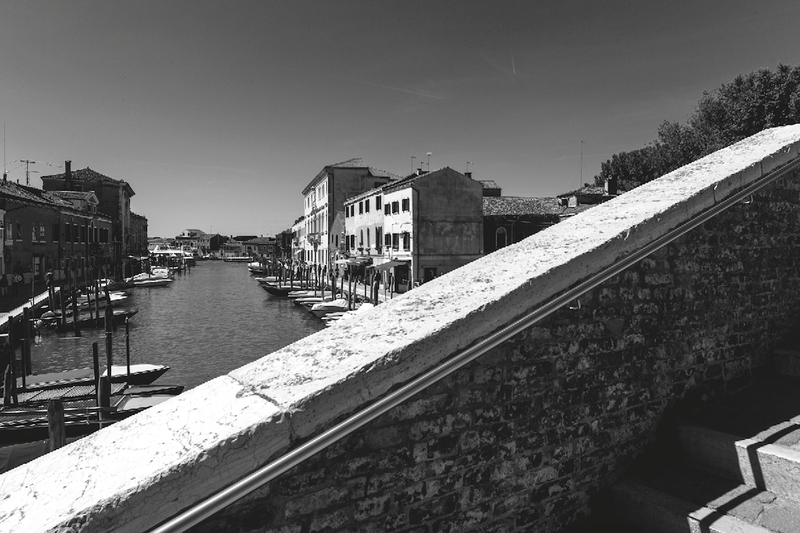 During this period, artists such as Picasso, Braque, Chagall, Le Corbusier, and Kokoschka (just to name a few) came to Murano and collaborated with the great glassmasters such as Aldo "Polo", Archimede Seguso, Aldo Nason, Angelo Tosi and many others. This gave a great impetus to the production of glass, which resulted a new expressiveness linked to the industrial world and characterized by a strong plastic realism. Today, on the island of Murano, glass is an exclusive tool of expression, capable of giving shape and interpretation to the creativity of both those who work it directly as well as of those who design its shape and colour hues. Even after many centuries, inspiration finds a perfect ally in this material, that is capable of imparting a particular and inimitable magic to every single object.